Award winning ceramicist Christopher Edwards makes intricate, hand-built forms inspired by the algorithmic logic of the natural world. Creating both sculptural and functional artworks, all of his pieces are one of a kind and masterfully made. 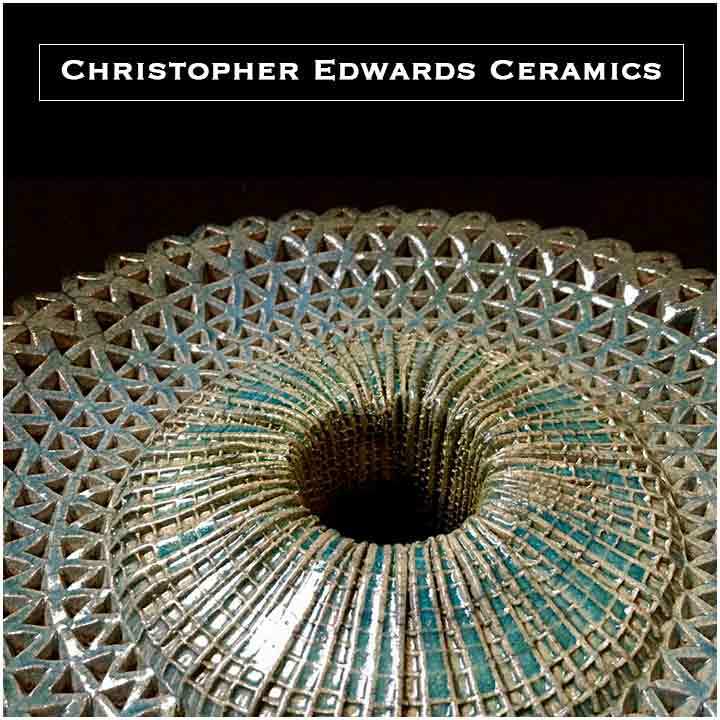 Edwards ceramics has been purchased by the Honolulu Museum of Art, the Hawaii State Foundation on Culture and the Arts, Art in Public Places Program, as well as numerous national and international private collectors. Clay is my window that allows me to see the creativity that is within me. I’ll start with an idea and make changes along the way as new possibilities occur. The end result is a captured moment of spontaneous creativity with clay being the catalyst. Each piece represents its own moment and, therefore, is one of a kind. As I work with the raw clay or the firing, a part of my “mana'o” (spiritual being) goes into every piece. I can feel the presence of life in the clay even before it becomes an extension of myself. Working with clay for over 45 years, Paul Nash is a long time Oahu ceramic artist and teacher. Exploring the connection between idea and aesthetics, he creates both functional vessels and sculptural forms. All Nash's work is fired to stoneware temperatures of around 2400 degrees with an emphasis on color, contrast, shape, and texture.